Match pictures of Mater and his friends. When Lightning McQueen gets a case of the hiccups, sure-fire remedies abound in Radiator Springs! Sign spinning rises to an incredibly fun art form when Guido is inspired at Luigi’s Casa Della Tires! "My name's Mater. Like tah-mater, but without the tah." Mater always has his tow-cable, just in case he needs to go "fishin'." Mater is proud to join the Team McQueen pit crew and sport lucky number 95! Star race car Lightning McQueen and tow truck Mater take their friendship on the road from Radiator Springs to exciting new places. Sarge, a 1942 WW2 Willy’s Army Jeep is the most patriotic resident of Radiator Springs. 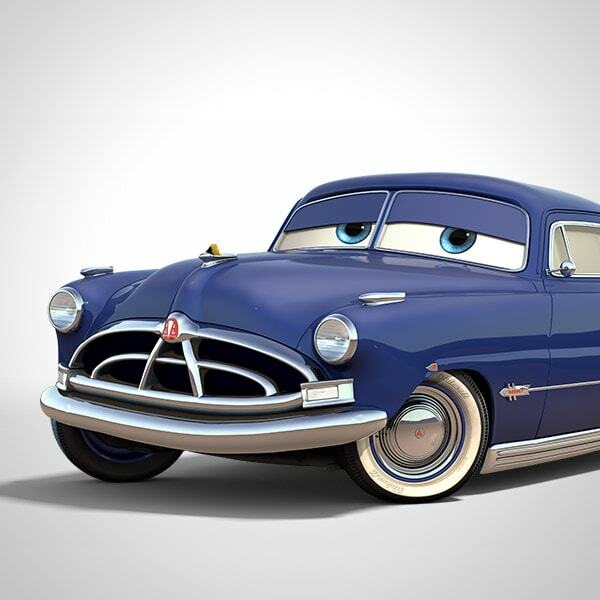 Doc is the wise, quiet country doctor who run Radiator Springs’ medical clinic. Fillmore is a 1960 VW Bus, and naturally, also Radiator Springs’ resident Hippie and clean fuel aficionado.